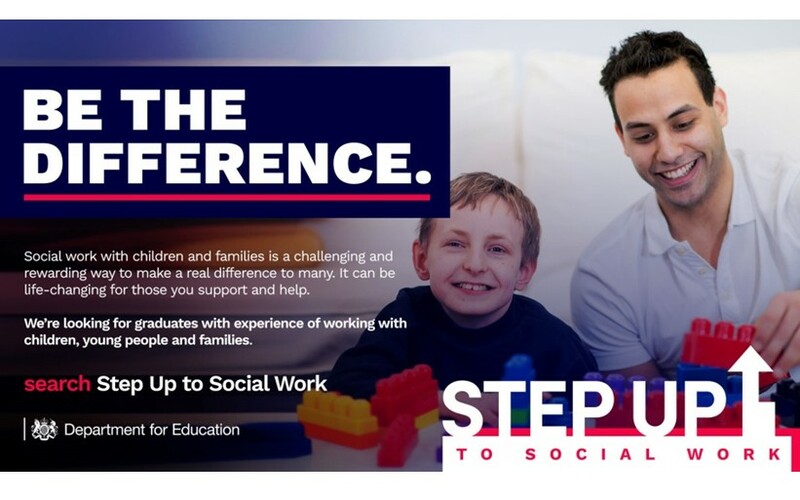 Blackburn with Darwen Council is opening the recruitment round for two aspiring social workers to join the 14-month ‘Step Up to Social Work’ programme, helping to train hundreds more children and family social workers who support children and families most in need. This will be the sixth cohort of child and family social workers to train through Step Up. Several social workers at Blackburn with Darwen Council have already qualified through the scheme. Trainees can expect to learn through a combination of in-work and university experiences and upon completion, the diploma will allow graduates to register and practice as a social worker. The Step Up programme runs every two years. Applications will open from February to March, followed by regional assessment centres for candidates successful at the initial application stage. Students will start on the programme in January 2020, completing their training in March 2021. Find out more about applying for Step Up to Social Work.